As Americans spend more time on digital devices, pet retailers are finding new, inventive ways to engage consumers online. According to a recent report by research firm Packaged Facts, one of the best storytelling methods available is online videos. Take Purina’s “Dear Kitten” video series as a prime example. Created in partnership with BuzzFeed, the original video has now surpassed 25 million views. It has since been developed into a franchise with multiple episodes across different platforms. While it’s hard to resist a good cat video, pet marketers have experimented with many other online formats as well. Here’s a quick rundown of several popular digital marketing strategies for pet brands. When pet owners have a question about caring for their pet, they will often turn to the Internet for answers. Why not capture some of those search results and bring that web traffic to your brand’s site? 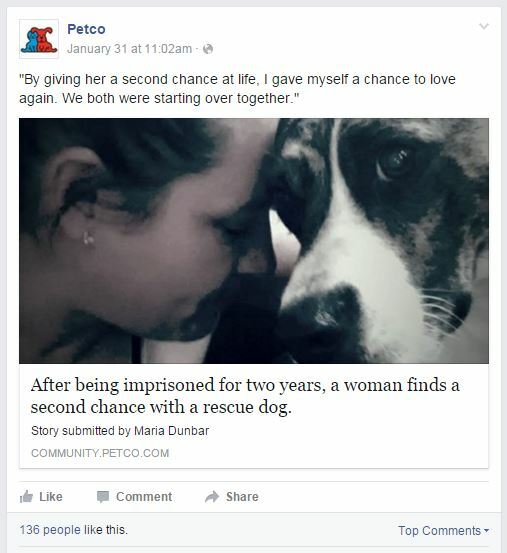 That’s what some pet retailers are attempting to do through content marketing. Through content marketing initatives, brands create and share relevant resources — such as articles, blogs, or downloadable brochures — that are designed to target a specific consumer segment. Rather than interrupting an audience with an advertisement (such as a television commercial or pop-up ad), content marketing works by providing answers to the questions consumers would like to know. For example, Purina’s website features articles like “How much food should I feed my dog?” or “How can I make sure my dog has healthy teeth?” By offering informative content about these kinds of topics, pet retailers can become a trusted resource to consumers, fostering brand awareness while increasing web traffic to their sites. Social media posts can influence where pet owners choose to shop, according to a recent survey by Packaged Facts. In addition, social media can also help educate and entertain pet owners and give pet retailers an opportunity to listen in on what’s trending. Social media is a natural fit for pet retailers, because there are endless possibilities for posting photos, GIFs, article links, and videos of animals — that touch on a wide spectrum of emotions. Humor is often a big hit on social media, with the potential to go viral. But serious topics also resonate with many audiences, as seen in this example. Notice how these social media posts touch on the motivations that drive consumers to have pets in the first place — because pets bring people joy and laughter, because they can serve as a support system, and because they feel like family. By aligning their marketing messages with the values of their consumers, brands can connect on an emotional level and position themselves as a preferred, go-to option — a company that "gets it." In addition to driving engagement, social media is also a convenient access point for customers with complaints or concerns. Because of this, social media channels often end up serving as a virtual storefront for retailers. 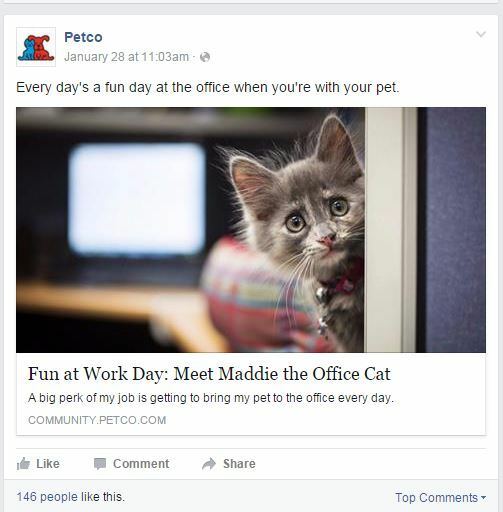 Katherine Smith, director of social media & commerce at Petco, knows how important social customer care can be. “If customers don’t have a great experience with Petco social networks, it’s just as bad as having a negative store experience, so we do everything in our power to assure it’s a great experience,” she says in an interview. According to Packaged Facts, email marketing “ranks as one of the most used tactics in a digital marketer’s arsenal.” In a recent survey, 18 percent of pet owners said that an email from a store or brand influenced their decision to purchase a pet product in the last 30 days. Loyalty programs are also a tried-and-true marketing tactic. While coupons and discount promotions can generate a short-term surge in traffic, they don’t usually produce long-term results. Loyalty programs, in contrast, can keep consumers coming back. Pet marketers can find out how to capitalize on ditigal media by reading Pet Product Marketing Trends in the U.S.: Technology, Mobile, and Social Media by Packaged Facts. This report contains detailed analysis and dozens of images and examples of new technologies used by pet marketers. In addition, be sure to check out a free downloadable presentation on the top pet companies in the U.S.